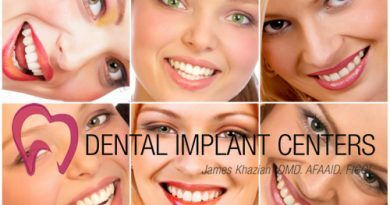 If you have one missing tooth, or a tooth that should be removed, your best and most natural option is a dental implant. Dental implants replace the lost tooth so perfectly that the new tooth looks, feels, and functions like a natural tooth.Quite often it is possible to replace a tooth, using a flapless procedure and an immediate load dental implant. This means, no stitches, and a tooth is placed on the implant right after surgery. This flapless procedure ensures the most esthetic result and creates gum tissue around the dental implant that resembles that of natural teeth. ONE MISSING TOOTH REPLACED WITH A DENTAL IMPLANT. THIS IS DONE WITHOUT CUTTING AND WEAKENING ADJACENT TEETH. THE NEW TOOTH IS NOT CONNECTED TO ADJACENT TEETH, AND IS SUPPORTED ONLY BY THE ANCHORED IMPLANT IN THE BONE. HOME CARE CONSISTS OF BRUSHING AND FLOSSING, JUST AS IN NATURAL TEETH. If you have failing teeth that should be removed, it is important to know that the best time to place dental implants may be at the time of tooth removal. Remember that the most critical consideration after losing a tooth is to maintain the integrity of jaw bone. This is possible only with dental implants. Like natural teeth, dental Implants, which are anchored in the jaw bone, are able to transmit chewing forces to the surrounding bone and stimulate ‘bone remodeling’ (a natural biological process which constantly destroys old bone cells and replaces them with new cells). This process continues all through life, as long as natural teeth are present, and is responsible for maintaining the volume and density of jaw bones. However, it slows down sharply after tooth loss, and results in jaw bones shrinkage and collapse of facial structures. To learn more about the consequences of bone loss, you may read Dr. Khazian’s article “FACIAL BONE LOSS AND PREMATURE AGING“. Bridges are not able to maintain the integrity of jaw bone, and replacing teeth with bridges is no longer the best option or even an acceptable one. There are many problems associated with bridges. Bridges are anchored to adjacent natural teeth (abutment teeth) and in the process of making them, those teeth are drilled to almost half the size, which obviously makes them weak. So often, abutment teeth become sensitive or develop decay, and may require root canal treatment. Bridges fail due to weakness and decay of the abutment teeth. This result in more tooth loss. So we can only consider bridges as a temporary solution for tooth loss.